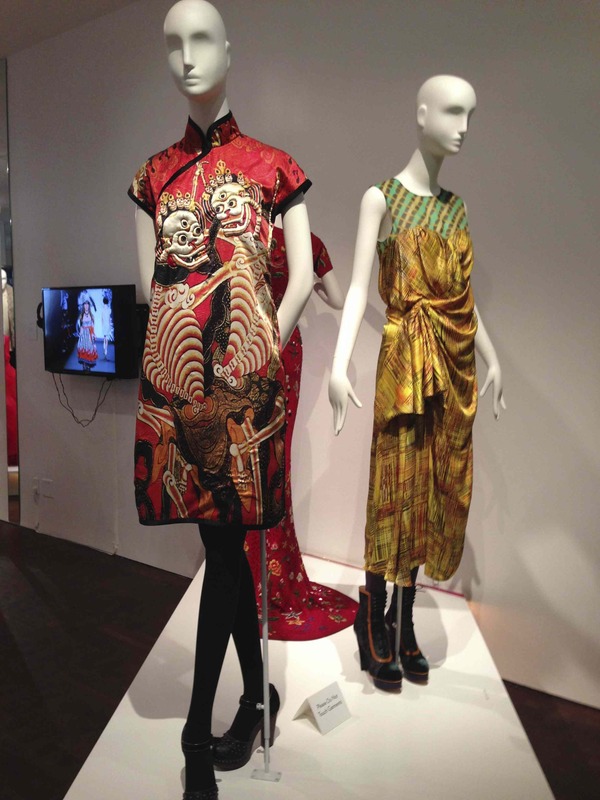 In a brilliant move to honor some of the City’s fashion favorites, the Museum of Chinese in America is welcoming everyone downtown to see their bright, joyful tribute, Front Row: New York City’s Chinese-American Designers, which they’ve extended until December 1. The show’s been a hit, with many museumgoers and fashion insiders making the trek downtown to wonderfully welcoming MOCA. 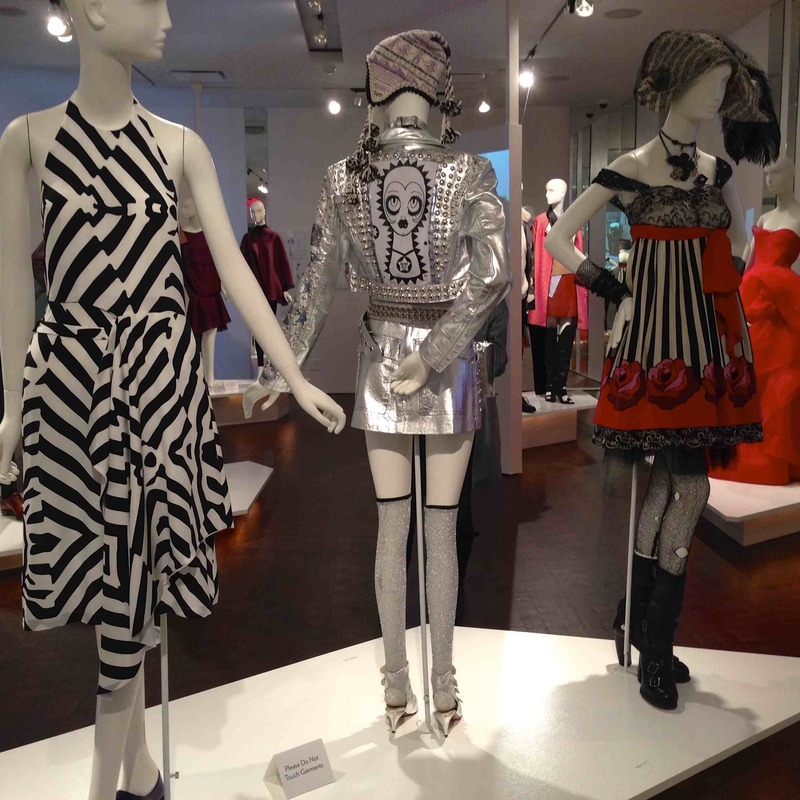 Inside the gallery, you’ll see a grand celebration of the contributions made to NYC’s fashion scene by a host of greats– the irrepressible Anna Sui, evocative Vivienne Tam, minimalist superstar Yeohlee, sumptuous Vera Wang, Jason Wu (one of Michelle Obama’s favorite), and eleven others. Take a look at what we saw on our Flickr feed. Some of the dazzlers include Vera Wang’s cardinal red ballgown embellished with horsehair trim, Zang Toi’s red knit embroidered red-carpet gown, and Anna Sui’s silver leather punk ensemble first seen on the runway on Linda Evangelista back in 1993. Take a look. It easily holds up today, particularly with the addition of the Peruvian tassel cap. For a bit of nostalgia, check out the vintage New York Times coverage of that show, which also features great reviews of Zang Toi and Yeohlee, too. Curator and featured designer Mary Ping did a great job showcasing iconic looks, video clips of memorable runway shows, and video interviews with the designers. 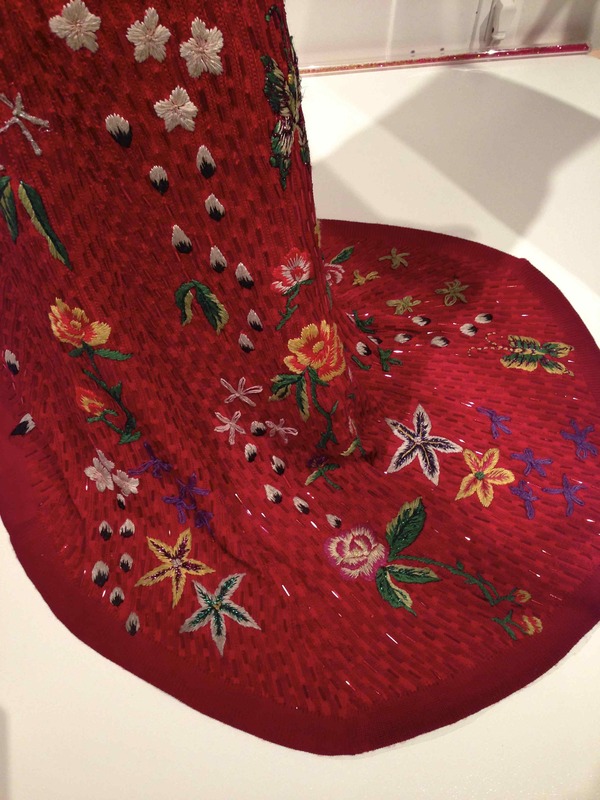 She worked with an advisory committee from the Met, FIT, and Parsons, and the overall effect is top-class – smaller than shows that the Costume Institute or FIT mount in their main galleries, but every bit as thoughtful, well documented, and illuminating. 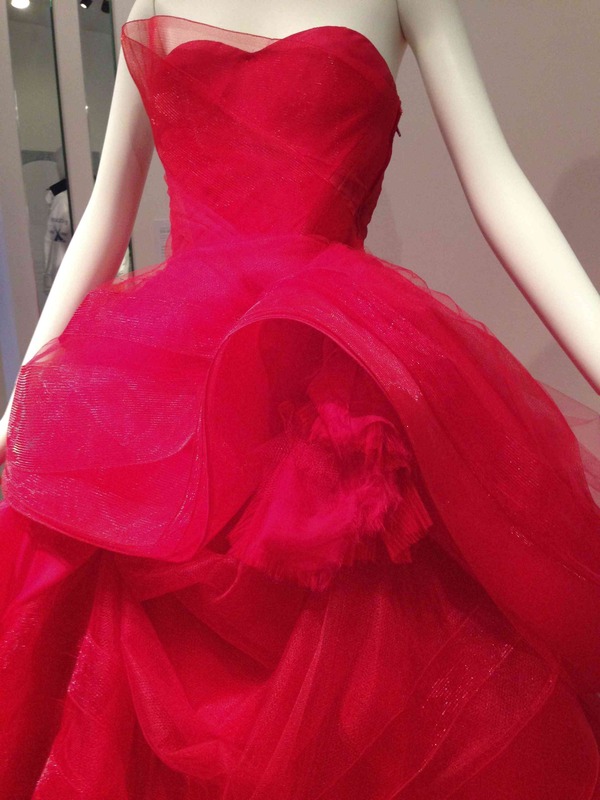 Organza and horsehair trim on Vera Wang’s Spring 2013 gown. At a time when the Garment Center has gotten a little quiet and most manufacturing has shifted to China and other Asian countries, it’s a nice touch just to include just a sampling of the behind-the-scenes work of this illustrious and talented group – a few notebook sketches and some of the paper patterns from Yeohlee’s 38th Street atelier. This entry was posted in Fashion, Museums and tagged design, fashion, museums, style, textiles by mssusanb. Bookmark the permalink.